There is a season for everything, including home maintenance projects. Whether the work is to keep your home heating costs down, making spaces more livable or involve larger projects like roof maintenance, a home maintenance schedule can help keep you on track and make sure your home is in good repair year round. Warmer weather seasons are made for outdoor projects! In the Spring, you’ll want to make sure you are prepared for wet weather. If safely accessible, get up on the roof and check all roofing materials to make certain there is no winter damage. Check your eaves and gutters for damage as well paying special attention to holes, gaps and debris that will prevent rain water from properly draining away from your home’s foundation. Install gutter screens to help eliminate leaves from collecting and causing problems. It may be costly up front but will save you a lot of time every year. It is also important to turn on your irrigation system to evaluate irrigation coverage and repair any broken heads or lines. Summer is a good time to clean and reseal wood decking around your home. Replace or secure any loose or warped boards and power wash the existing surface before treating the wood. Proper deck maintenance will extend the life of your decking. .
Another area of your home that needs maintenance in the Summer is your garage. Cold weather climates usually mean salt and sand on the roads, which are tracked into your garage. Clean out the garage, sweep and wash with soapy water. This is also a great time to take stock of your garage storage and donate, sell or store what you don’t use very often. One of the most important objectives of getting your home ready for Winter is to prevent cold air from entering your home. In the Fall, look for cracks in the foundation that need repair and add or replace weather stripping around doors and windows. Disconnect hoses from exterior spigots and shut off the exterior water supply. It is also important to have your irrigation system blown out before there is a deep freeze. Prepare gas-powered tools, like lawn mowers and generators, with fuel stabilizers to protect them from the cold. You can also store these items in climate controlled storage along with other vehicles not used in the Winter such as boats, motorcycles or convertible cars. Fall is also a perfect time to string lights for the holidays! 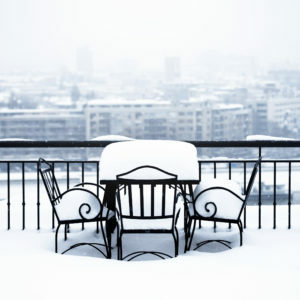 Purchase furniture covers for your patio furniture and grills or move them into storage with other seasonal items. Choose a storage facility located near your home to make pulling them out to use in the Spring easier. You can also buy a cover or use a tarp to wrap your air conditioner. Window air conditioning units should be removed from the window and stored until next Summers use. Have the air vents and dryer ducts in your home professionally cleaned to reduce allergens and improve circulation. Save on energy costs and extend the life of your refrigerator by vacuuming the coils. Check the caulking in the kitchen and bathrooms. Tighten handles, knobs and door pulls. Just because it is cold outside doesn’t mean you don’t have to do ANY maintenance to the exterior. 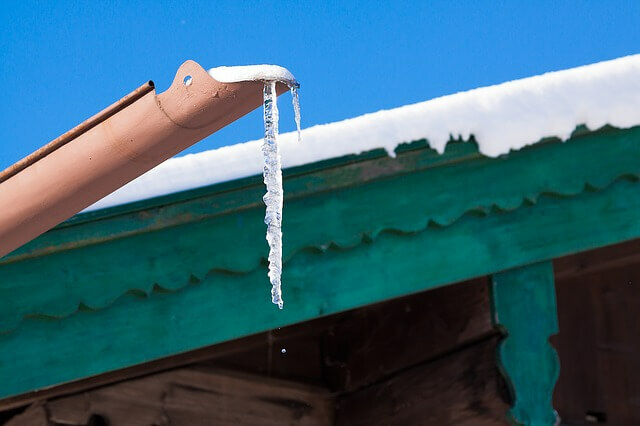 Check regularly for ice dams and icicles on your roof and eaves. Make sure your home is insulated properly and the escaping heat isn’t causing freezing problems. 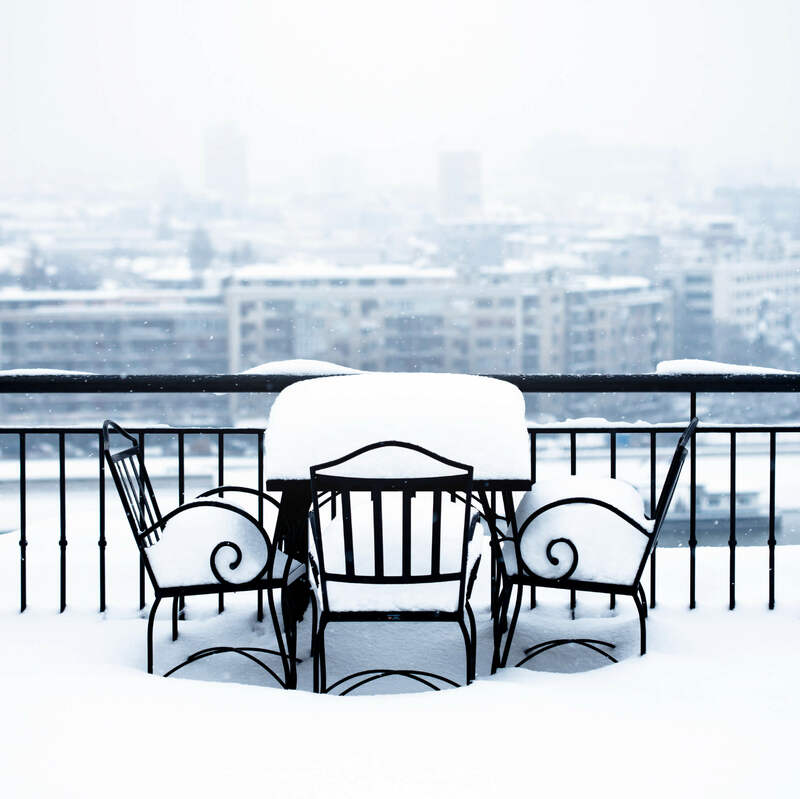 Consider de-icing cables to regulate the freeze and thaw of snow on your roof. Having an organized garage or storage shed is key to making these home maintenance tasks manageable. Knowing where your tools and supplies are kept will cut down on the time you spend searching for the extra cost incurred if you go out and buy a duplicate item. Check our Garage Storage Solutions for ideas on organizing your garage.